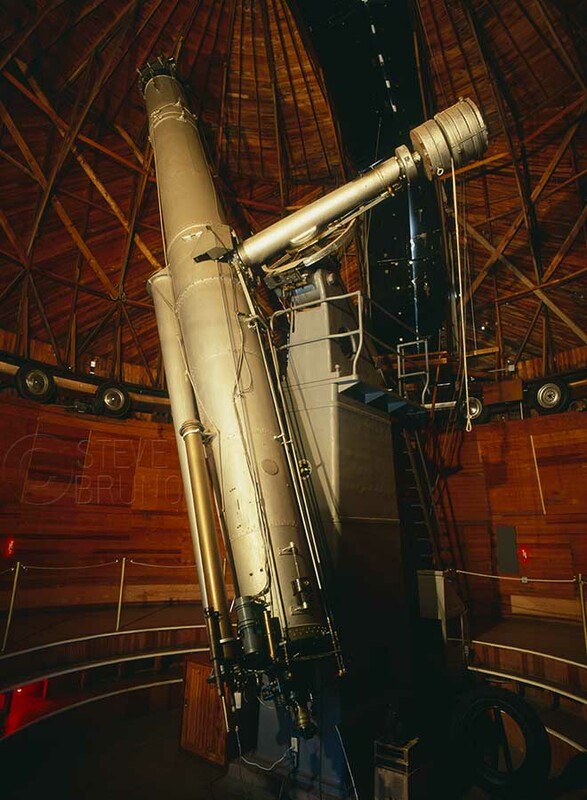 The science of astronomy has come a long way since Percival Lowell sat in his chair peering through this once high-tech telescope at the Lowell Observatory in Flagstaff, Arizona. It has been many years since someone “looked” through a large telescope of the magnitude you might find at any of the major observatories in the world. Instead, astronomers sort through large amounts of data fed to their computers from the instrumentation at the receiving end of these technological works of art. The romantic notion of someone peering through a telescope towards a new galactic discovery exists only as a Hollywood vision. If only they were fitted with an eyepiece – the views would be incomparable. This is my entry for Ed’s Challenge this week. Thanks, Ed! We haven’t had much in the way of clouds here – good for meteors, bad for daytime photography.